This course covers the production and recyclability of steel in the construction industry, including the general and sustainable advantages of building with steel. This includes a look at how specifying steel can contribute to potential LEED credits as well as compliance with the International Green Construction Code (IgCC) requirements. The focus will be on steel as an infinitely recyclable material and its various applications within the building industry. In addition, we will look at several agencies/codes/regulations involved with sustainability and construction. 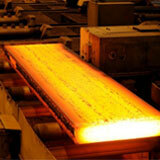 Explain basic steel production, the role of recycled steel in this process, and the environmental benefits. Describe construction products made from recycled steel and the advantages of steel construction, including doors and frames. Discuss the features and applications of steel doors and frames. Discuss LEED v4 updates to the Building Design and Construction category. Describe the integration of the International Green Construction Code (IGCC).